ST. GEORGE’S, Grenada, Jun 1, CMC – Caribbean countries are yet to fully leverage the blue economy as a driver or growth, despite the fact that the ocean plays a significant role in the lives of at least 40 per cent of the world’s population that lives in coastal areas, according to a new study released by the Barbados-based Caribbean Development Bank (CDB). It said that the blue economy is made of up of economic activities that either take place directly in the ocean, or use outputs from the sea for consumption or as a source of income. The study, titled “The Blue Economy: A Caribbean Development Opportunity”, explores the potential of the ocean-based economy for the Caribbean, and also presents financing options that can allow policymakers to explore blue economy strategies at a national and regional level. It was presented at the 48th annual board of governor meeting of the CDB that ended here on Thursday. “New and high-value blue economy growth industries such as aquaculture, marine biotechnology, deep seabed mining, and ocean renewable energy remain under-developed in our region,” said CDB President Dr. William Warren Smith. The study was produced in collaboration with the United Nations Development Programme (UNDP). It identifies four key industries which could be targeted for further growth under a blue economy strategy. The study also notes that a blue economy strategy cannot be applied uniformly across all countries in the region, but can provide an opportunity to collaborate with regional peers to achieve greater efficiency and output. 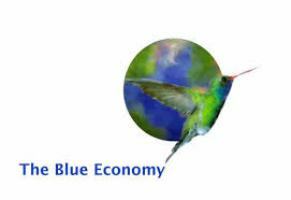 According to the CSDB, the study explores the enablers required for an effective blue economy growth strategy: regional policy for economic sharing; regional agency for ocean governance and management; efficient regulatory framework for doing business and supportive infrastructure; advocacy and participatory development; a regional knowledge hub for efficient information sharing; and potential innovative financing mechanisms for the development of the blue economy.